Walk through the arcade to the light. London is dotted with beautiful arcades (some abandoned, some busy shopping malls), which are truly works of art in an of themselves. They are also wonderful examples of architecture, with vaulted ceilings, beautiful ornate ceilings and stunning lights. I always find I stumble upon them, rather than go looking for them... 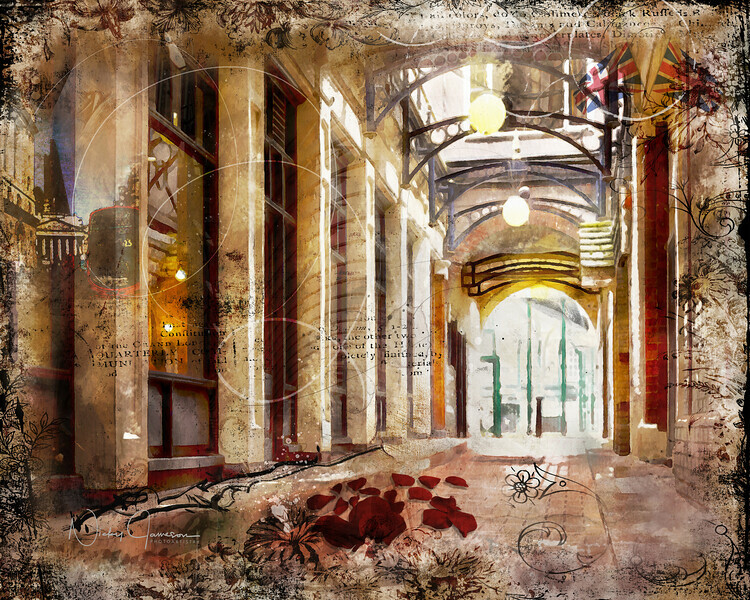 This particular composite features photos of a couple of arcades, including the famous Leadenhall Market. It's very subtly blended with the different elements in this artwork piece as my focus was more on the perspective and light which I loved. Look forward to a series on the Leadenhall in the near future.